We're surfing in the air, we're swimming in the frozen sky, we're drifting over icy mountains floating by. I sincerely hope the festive season is peaceful and relaxed for you and now we turn and look forward to the start of another year. 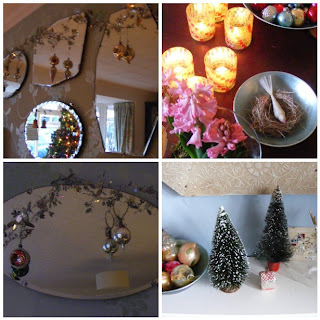 My collection of vintage baubles... In the meantime, on a personal matter, I shall be needing one of these very soon, a Figure Reducer! Oh, the abuse my digestive system has endured over the last few days. Why do I do it? Wrongly or rightly, I am anxious to get back to some sort of routine and I have slipped and slithered into my garden room and made a couple of items, to try and wrench myself into a world of creativeness again....although the sofa beckons and particularly the Christmas cake! 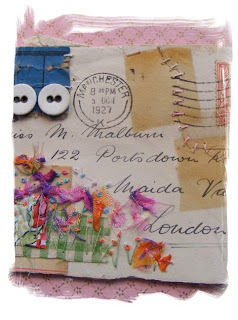 A beautiful vintage envelope...embellished by moi! (sold). Again, and I know I say it at every post, but I really do want to sincerely thank everyone for visiting my blog. Thank you for all your wonderful comments and support through the year. Thank you all so much for your kind wishes for my birthday trip to Vienna. I was so lucky to have my family with me to celebrate. The journey starts at St. Pancras Eurostar train station. We travelled to Brussells, then a connecting train to Cologne, then an overnight (12 hour) train journey through Austria to Vienna. A sleepy hand dangling from top bunk on the morning we arrived in Vienna. I actually looked and felt like scarecrow when we arrived, so we were all pretty happy to book into a beautiful hotel, have breakfast and a wash a brush up. Off we set to explore Vienna! Our first afternoon was spent in the inner or centre of Vienna. Glorious shops, very wealthy, perfectly clean and tidy with stunning Christmas lights. Architecture was a picture postcard on every blink of the eye. Take a closer looksee at these friezes, need I say more? On our first evening, we visited our first Christmas market. This was held outside the Town Hall. I can't begin to tell you what a glorious Christmas atmosphere this place had. The lights were stunning. The wooden cabins selling decs of every nature, food and drink a plenty and the Austrians, standing with friends, mug of punch in hand, food in the other, enjoying each others company. Wonderful! Next day and more of the City. Vienna is a very easy city to navigate. The underground is usually only one set of stairs below ground, clean, reliable and not too crowded. Over ground there is a tram line and plenty of bus routes. The inner city is pedestrianised too, so it was a joy to wander from street to street. The photo below was taken in an exquisite shopping arcade, rather like Burlington Arcade in London and this view was to the side. It reminded me of the film Labyrinth! The Hofburg Palace below houses the famous white Lipizzaner horses. Talking of horses we all enjoyed a horse and carriage ride. The sound of the horses and wooden wheels on the cobbles, evocative of days gone by. On the evening we visited another Christmas market at the Schloss Schobunn Palace. It absolutely threw it down but it did not dampen the atmosphere. Next day being the 'old girl's' birthday.....I was treated to a couple of hours at the local flea market. Extortionate prices for most items for sale. Purchased a couple of items but disappointed that even one plain vintage bauble was £12! In the afternoon we visited the Spittelburg area. I loved it here, cobbled, narrow streets lined with wooden chalet vendors...lots to eat and drink again. Below pic of the current husband, Weiner in hand! By now soft, sweet, gentle snow flakes had started to fall. It was like being on a film set! Beautifully decorated shop window. The Austrians certainly adore Christmas and seem to specialise in the use of white lights rather than coloured. I do love a door handle or two! Later that evening had the most glorious meal in Central Cafe. A vaulted ceiling, colonnaded, palace of splendour. Can't say I was very interested in this piece of cake either! Our last morning was spent at Belvedere Palace to see Klimt's 'The Kiss' and several of Egon Shiele's work. My husband doesn't 'get' Schiele's work, so a healthy art debate ensued. Looking out of the Belvedere. All is grand in Vienna! Well, that is a whistle stop tour of Vienna. Thank you for staying with me through my ramblings. A truly remarkable and beautiful place, where there is national pride in a stunning city, high standards and the best Christmassy atmosphere I have ever been fortunate enough to relish. It's been a busy old week. Wednesday, College trip to Liverpool with two coach loads of 16/17 year olds. Visited the Tate at Albert Docks and then went onto Crosby Beach, to see the Antony Gormley 'Another Place'. The students really enjoyed the day and so did I, as visiting this place was high on my list of 'must do's'. Saturday, I had a stall at a Designer/Maker Fair in Wolverhampton. Really enjoyed attending this fair, although it is a bit of a stress at this time of year, when Christmas is approaching at speed and there seems so much to do, buy, sort, post etc. etc. (grumpy old woman alert)! Speaking of grumpy old women, this my friends, is the last week of my forties! Sad but true :-) Can't say I'm thrilled about the idea of being 50, but I have so much to be thankful for. I am also fortunate enough to have a husband that has arranged a surprise trip to Vienna to celebrate the big day....so I will be off the scene for a week. 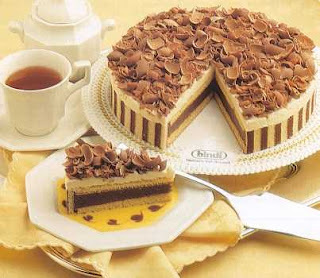 There will be much eating of cake and drinking of wine and enjoying Christmassy Vienna. I hope your festive preparations are going well and I shall look forward to catching up with everyone in a week or so. I have had such a warm response to my brooches. 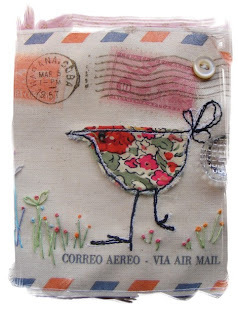 I am enjoying making these little mice and bird brooches so much, that I thought I would add the designs to a coin purse. I used plain cream cotton and covered each side in muslin....textural goodness :-) Then applied two little vignettes of mices. I think I watched too much Tom and Jerry when I was little. I have popped the purse into my Etsy Shop, but I won't be sorry if it doesn't sell, 'cus it's a real sweetie...if I may be so bold! Then we go onto birds, one below is Betsy bird and then, hopefully flying away soon, are Peter and Paul! Am I sounding too cheesy here? I think there is every chance the answer maybe 'yes'! Thanks for putting up with the cheesaliciousness content of this post! Before I go, I wondered if you could spare a minute or two to visit a couple of newish blogs. Firstly angela is a good friend of mine. She is a jewellery maker and has lots going on. We used to live next door to each other and share a Studio at one time. Secondly you may already know 101birdtales if not, well worth a visit. Amelia's current post, may just be of help! A touch of nostalgia here ..... produced by Fred Quimby and very apt for Thanksgiving. Hmmmmm, I think they may have got that slightly wrong!